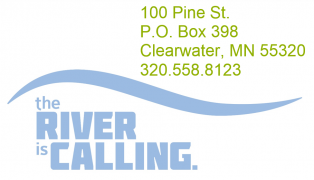 Established in 2009, CW Outfitting is the only paddle sport specialty shop and outfitter on the banks of the Mississippi River in Central Minnesota. We offer many outfitting services and a full paddling retail store, but above all that, we are your experts when it comes to canoes, kayaks, stand up paddle (SUP) boards, and fishing kayaks. We're only 60 minutes from downtown Minneapolis/St. Paul, 20 minutes from downtown St. Cloud, and less than a mile from Interstate 94 in Clearwater, Minnesota, right on the banks of the Mississippi River. Visit our historical building and let us help you with your outfitting needs or "try before you buy" one of our canoes, kayaks, fishing kayaks, or stand up paddle boards. Whatever paddling adventure you’re craving, we’re here to make it happen. We love seeing all sorts of adults and kids, of all ability levels, experience paddling. And because "getting kids outdoors" is a big part of our core mission, we offer great rates for families, nonprofit organizations, and community groups. Business outings and team building events have also become very popular and a big focus of ours. As a locally owned and family operated business, we always appreciate your business! Designated "Wild & Scenic" by the DNR, many miles along this stretch are still in their natural state due to the protection, regulations, and zoning associated with this title. 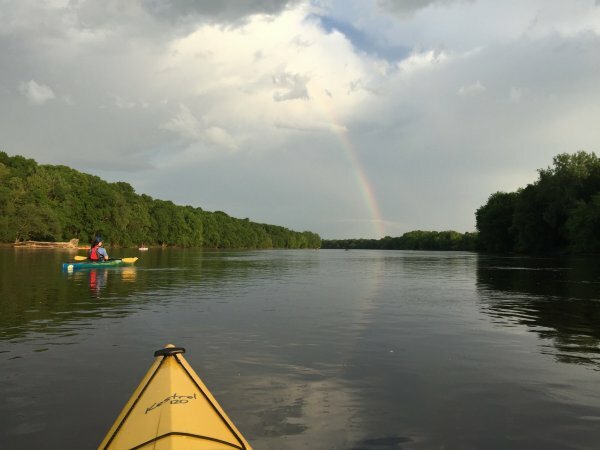 Because the Mississippi River is a major migratory corridor, paddlers often see eagles, blue herons, egrets and hawks along with many other birds, mammals, fish, and crustaceans that call this area home. Here, the Mississippi River is shallow with a rocky bottom - poor conditions for motor boats, but ideal for paddling and fishing. With a gentle current void of any rapids, dams or falls, the paddling is relaxing and the fishing is spectacular. Many consider this stretch to be world class smallmouth bass fishing due to the limited motor traffic, river accessibility, and special fishing regulations. We are convinced that you'll enjoy this Midwest gem whether you are new to paddling or a seasoned veteran! 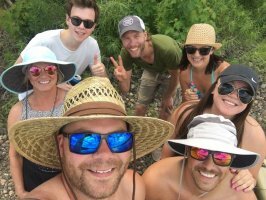 "We have been on the river 5 times now and each one different than the last! Heat, wind, rain and mostly perfect days. Have French students come and it's now a tradition to "do the river"! It can be relaxing or competitive, serene and exciting too. 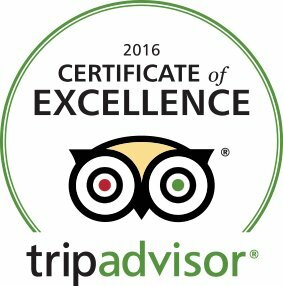 I've recommended this to numerous friends and all have had fabulous experiences. The historic Clearwater creamery building is now the home of CW Outfitting. After months of renovation in 2010, we brought the historic creamery building back to tip-top shape. We have continued to improve the buildings and grounds to make this a first class paddle-sport outfitter and shop. Our store is filled with quality paddling gear, along with fishing and camping gear, and convenience items. Come in for any paddling needs and browse our great deals on canoes, kayaks, fishing kayaks and SUPs. If we don't have what you need, we'll do our best to get it for you! If you can't stop in person, browse through our online store! It's overflowing with all the same paddling, fishing, camping, and outdoor adventure gear we have in-store, all from time tested, quality brands like Bending Branches, Coghlan, Rapala, Werner, Spring Creek Paddling Accessories, and MTI Lifejackets. We are at the store most days and flexible with appointments. Please give us a call! Copyright © 2007-2019 - Clear Waters Outfitting Co.